Often misunderstood, hypnosis NYC therapy is a natural way to overcome many common challenges. People often expect to be asleep, unaware, or experience a complete loss of control while in trance. Nothing could be farther from truth according to New York city hypnotist, Eli Bliliuos. He explains that trance is a calming experience that allows the client to regain control and overcome a multitude of challenges. What techniques will be utilized to help hypnosis clients lose weight quickly? 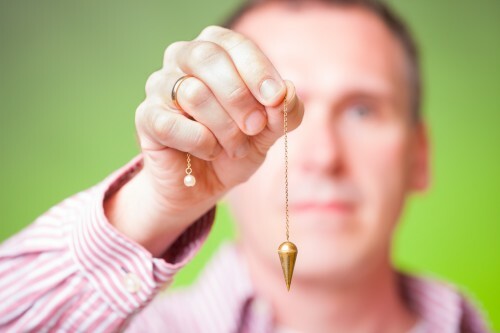 Hypnosis has long been recognized as a an effective weight loss option. Hypnotherapists guide their clients into a natural and relaxing state of trance where they can reprogram their unconscious minds. Many clients report making healthy food and portion choices automatically and subconsciously. They also report an increased motivation to exercise regularly. For some, breaking the emotional connections between food and relieving stress, boredom, and loneliness is also necessary. Whether it’s binge eating or emotional eating, hypnotherapy can assist patients in breaking their unhealthy relationship with food. How can experiences from the past shape our life long relationship with food? A technique called regression is sometimes utilized to identify the experience that triggered the limiting relationship with food. Clients experience the memory of that event while in trance and the practitioner can give the clients unconscious mind a new and more appropriate way of looking at that experience. A learned habit of finishing everything on your plate can be changed forever. Hypnosis is not a 1 size fits all modality. There are many hypnotic techniques that a hypnotherapist has at their disposal. A seasoned hypnosis professional will use all hypnotic tools and techniques necessary to help his or her patient based on their individual needs and circumstances. What else can hypnosis help with?? Hypnotherapy can also be utilized to help patients move past fears, phobias, anxieties, bad habits, and addictions. Therapeutic hypnosis can also assist with sports performance, pain relief, surgical recovery, confidence, and self esteem. However, the 3 most common reasons people seek out hypnosis therapy is for weight loss, stop smoking, and anxiety. While hypnosis is certainly more widely accepted now, it is surprising that more people don’t seek to try this effective modality. The hypnosis center for profound change in New York city reports that the average client requires 6-8 sessions with no additional follow up required. With so many people stuck in the Yo Yo cycle of dieting and then regaining the weight, its nice to know that there are healthy and long lasting alternatives for those seeking to lose weight.